What do federal government policy initiatives look like when they ‘trickle down’ to individual groups, communities and people? Inevitably they will have different implications in different situations. A recent roundtable in the remote Northern Territory town of Tennant Creek was convened amidst intersecting policy changes, including those addressing mental health, disability and the delivery of primary care. NDS has released its paper ‘How to get the NDIS on track’ which makes strong recommendations on the necessary way forward for the NDIS. Workshop on the 5th May 2017 in Alice Springs. What Works in Aboriginal & Torres Strait Islander suicide prevention? Seminar on 4th May 2017 in Alice Springs. Registrations for the Towards Elimination of Restrictive Practices 11th National Forum (formerly Seclusion & Restraint Reduction forum) are now open. The forum will be held at The University of Western Australia in Perth on 4 – 5 May 2017, with the theme, Working together, a culture of care. 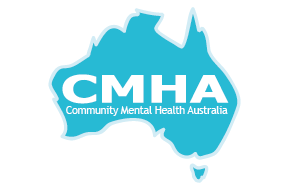 The Coalition would like to congratulate our member organisation Mental Health Association of Central Australia (MHACA’s ) Suicide Story program which receive The Northern Territory Fitzgerald Human Rights award for Social Change on 7 December 2016. MHACA is very proud of ‘Suicide Story – Our Way’ and its way of using cultural practices to guide participants through the process of understanding suicide and reducing stigma so communities can help one another in times of crisis. Suicide Story would not have been possible without the hard work and commitment of many brothers, sisters, aunties, uncles and elders throughout the NT who provided their wisdom in its development and implementation. MHACA would like to acknowledge the work and dedication of all the Suicide Story team members from Central, Barkly and Top End regions both past and present. This includes, Suicide Story Facilitators, Program Managers, Project Officers, Trainers, past SSAAG members and all community members who have welcomed our program into their lives and contributed to its growing strength. Finally, they gratefully acknowledge their sponsors, the Northern Territory Department of Health and the Northern Territory Primary Health Network. For more information about Suicide Story please call 8950 4600 or visit the MHACA website. Community Mental Health Australia (CMHA)- Reference Group for the National Mental Health NDIS Conference. The conference will be the nation’s first nation-wide, sector-driven professional development conference, focused on NDIS and mental health and will be held in Sydney in November 2017. The draft Terms of Reference for the Conference Reference Group (CRG) is attached (Click here).